The history of Cyprus Island goes back millennia and boasts a truly unique cultural heritage. Renowned historic figures have conqueror the land at various points in time, including Alexander the Great and Richard the Lion-heart. Greeks, Romans, Arabs, Turks and, ultimately, the British Empire have all left their footprint on the island. Only, after the end of British colonial rule in1960, the Republic of Cyprus became a new, small, yet ethnically and politically divided, country. From the onset, power-sharing between the Greek majority and the Turkish minority proved difficult and the country descended into a decade of inter-communal violence. Problems were then exacerbated by the Turkish intervention of 1974, which left the country divided ever since. However, this did not impede Cyprus from becoming a member of the European Union in 2004 and the Eurozone four years later. Cyprus has been relatively well off, historically relying on trade and, more recently, on tourism and banking. Following its accession to the EU, both households and enterprises indulged in cheap credit (Annex 1), causing a real-estate bubble, which burst as soon as demand in the housing market plummeted in the early days of the global financial crisis. Still, as long as foreign capital was pouring into the local banking sector, which amounted to seven times the national GDP, the country’s fiscal imbalances could be mitigated. Thus, even after the 2008 financial meltdown in the US, Cyprus economy, though increasingly less competitive, stayed afloat. It was only possible due to the fact that local banks have not been overtly exposed to toxic assets such as Credit Default Swaps. However, a series of external developments, coupled with increased domestic public spending of the new Communist president Dimitris Christofias, quickly became a matter of concern (Annex 2). Namely, exposure to Greek government bonds, which suffered a 50% haircut as a result of the Greek debt restructuring in 2010, left a €4.5 billion hole in the balance sheets of Cypriot banks, amounting to 25% of Cyprus’s GDP. At the same time, subsequent budget deficits increased public debt and thus prompted Standard & Poor’s to downgrade the credit rating of the Republic of Cyprus from Aa3 to A2 in November 2010 and another 23 times by 2013. In fact, by early 2011 Cyprus could no longer borrow from international markets due to prohibitively high interest rates. Other Euro area countries like Ireland, Portugal and Spain, also shut out from financial markets, immediately applied to the Financial Stability Mechanism and concluded their assistance programs within weeks. However, president Christofias’s Progressive Party of Working People (AKEL) rejected the notion of austerity measured for ideological reasons and looked for alternative sources of funding, both domestically and abroad, specifically in Russia. The delay in signing a €10 billion Memorandum of Understanding with the Troika (European Commission, European Central Bank and International Monetary Fund) further precipitated the negative spiral, which ultimately produced the painful ‘bail-in’ decision of March 2013. The €10 billion deal ended up being contingent on selling of Cypriot banks’ branches in Greece, closing down of a Laiki Bank, and, most notoriously, a 47.5% haircut of all uninsured deposits above €100,000 in the Bank of Cyprus, many held by wealthy Russians and Russian multinational corporations. It was the first rescue package that involved directly taxing bank depositors. Capital controls were introduced to preclude capital fight, all during an excruciatingly long eleven days banking holiday. These measures caused an immediate drop in GDP (5.9% in 2Q of 2013) and a spike in unemployment (up to 16.9%). Still, following concerted policy actions by the government, economy has since stabilized and is now on a slow but steady track to recovery. According to CBC Executive Director, George Syrichas, the economy is already performing better than anticipated. Monetary expansion initiated by the ECB is boost aggregate demand and further support growth across the Eurozone. 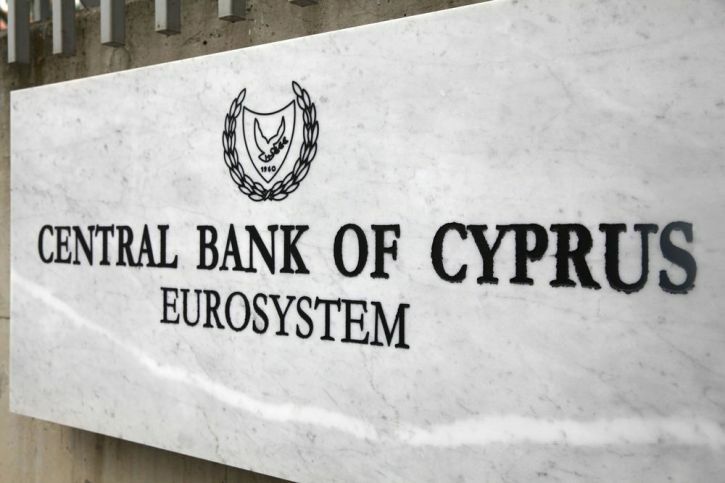 Following the 2004 accession to the European Union, but more importantly, after joining the Eurozone in 2008, Cyprus conceded its monetary policy authority to the European Central Bank (ECB) in Frankfurt. Central Bank of Cyprus (CBC) no longer controls the interest rate or the direct money supply (printing press) given the Euro currency union. Thus, it only plays a limited role set by the framework of the European System of Central Banks (ESCB). CBC is mainly tasked with collecting and processing data for the decision makers in Frankfurt. Still, safeguarding the stability of the financial system remains one of the major tasks of the institution. The two major tools it used are micro-prudential supervision of individual banks and macro-prudential supervision of the entire system. In time of crisis, it may also act as a lender of last resort in trying to rescue distressed banks. It is now apparent that the CBC failed to employ its macro-prudential supervision toolkit effectively, or rather failed to act on the clear build-up of systemic risk that was being observed. It seems that the biggest failure occurred at the level of micro-prudential supervision, namely in terms of oversight concerning the two local largest banks: Cyprus Popular Bank (CPB) a.k.a Laiki and formerly known as Marfin Popular Bank; and Bank of Cyprus (BoC). According to the 2014 Government Report, Central Bank Governor Athanasios Orphanides had little autonomy and was, in fact, closely coordinating the decisions of the CBC with the Finance Minister Kikis Kazamias. Yet, even more crucially, both the governor and the finance minister were highly dependent on the will of the president, who represents the main center of gravity, given the strong presidential system in Cyprus. The report appears to partially exonerate Orphanides, pointing out that the governor had repeatedly notified the president about the extent of financial and economic problems. A week after the Naval Base exposition in July 2011, Orphanides sent a letter to President Christofias, saying that “the economy is in a state of emergency, compared with that of 1974”. Still, the president failed to realize the urgency of the situation and act accordingly. Meanwhile, by early 2011 the CBC had already identified liquidity problems in Laiki Bank, as its liquidity ratio fell below the required minimum of 20%. In April 2011, the bank’s liquidity ratio went down to 9.55%. However, authorities failed to react immediately; instead the Ministry of Finance and the Central Bank were devising a plan to nationalize the bank despite ECB’s non-bailout stance. The government report blames the CBC Governor Orphanides for not opposing the nationalization plan and also for misleading the ECB about Laiki’s solvency when the Bank was already bankrupt. Another criticism against the governor, but even more so against the president, is that Cyprus failed to oppose the haircut of Greek bonds and later failed to comprehensively assess and mitigate the effects the decision had on Cypriot banking system. Orphanides’s term as governor ended in May 2012. It was only after the bail-in decision that CBC, under a new Governor Panicos Demetriades, started taking more forceful action. CBC established a country-wide Central Credit Register to provide detailed information on the amount of debt companies owe banks and lending cooperatives. Moreover, supervision of coops and banks was unified, since previously coops were largely excluded from scrutiny. CBC also strengthened the Resolution Authority overseeing the share capital of Bank of Cyprus, taken over following the shutdown of Laiki Bank. On the European level, Governor Demetriades has been a strong proponent of the Single Supervisory Mechanism (SSM) as a stepping stone towards a banking union and more financial integration. SSM was one of the two main priorities of the first ever Cyprus EU presidency during the second half of 2012. Council Regulation establishing the SSM published in September 2012 are heralded as one of the major achievements of the Cyprus Presidency. On the domestic front, the supervisory framework of the CBC for the prevention of money laundering and the financing of terrorism (AML / CFT) was also strengthened in order to fight allegations of Cyprus being a safe haven for illegal financial transactions. According to CBC Executive Director, George Syrichas, the overall legal framework pertaining to the banking sector was improved, the supervisory capacity of the CBC was augmented and the regulator acquired new risk based analytical tools for offsite and onsite supervision. CBC’s Banking Supervision and Regulation Department increased its staff and received relevant training thanks to the the implementation of an IMF Technical Assistance program. Yet, despite measures taken by the CBC, including with regard to non-performing loans, problems remain. In fact, strict conditions for new lending advocated by CBC will likely exacerbate the already existing credit crunch, slowing down recovery. Furthermore, the new Central Credit Register will also contribute to a lower supply of credit, thus putting further downward pressure on new investment. Regulations on higher loan/deposit ratio for the banks and coops will have a similar effect. Hence, the much needed policy actions came with a serious trade off. Nonetheless, banks and coops will be forced to continue to deleverage their balance sheets, creating fertile ground for more sustainable growth in the future. In this regard, successful conclusion of the latest stress tests is a positive sign for the entire banking sector. The implications of the financial crisis in Cyprus are manifold. The most obvious political outcome was the result of the 2013 presidential elections, when the right-wing Democratic Rally party returned to power after ten years in isolation. Another major difference from pre-crisis period was that economic issues monopolized public debate and took over the spot light from the Cyprus problem, which dominated all previous elections. In fact, the trend of ousting incumbents and blaming them for the crisis was already apparent in the rest of Southern Europe, however, in the case of Cyprus, there was also a clear disengagement of the society from politics, given the high abstention rates and declining partisan loyalties. The resounding victory of conservative leader Nicos Anastasiades was also a result of a protest vote. Lately, Greece has witnessed similar developments, though at the opposite end of the political spectrum – Syriza. Another aspect of political ramifications of the crisis is the increasingly common resort to fear in political rhetoric. Politicians capitalized on public anxiety and speculated of the voter’s fears. Fear-mongering became a tool for exerting power at the domestic level. This is, however, proof of powerlessness rather than strength on behalf of the political class. In times of distress, politicians should lead by example rather than feed off the panic and exacerbate it. It is true that inability to manage external realities stimulates the use of fear-mongering on the home front, but it does not legitimize the practice. Furthermore, the ‘bail-in’ decision triggered a blame game and attempts to shift responsibility to external actors. Demonization of Germany and the Troika has become ubiquitous in political parlance. At the same time, Russia was perceived all the more positively, not just in light of the €2.5 billion loan provided in January 2012. Even before the crisis, some experts referred to Cyprus, along with Greece, as Russian ‘Trojan horses’ within the EU. High dependence on capital inflows from Russia explains only part of the equation. As an aspiring global power, Russia also has a strategic interest in the island. When Cypriot President Nicos Anastasiades visited Russian President Vladimir Putin in Moscow in February 2015, the two leaders signed a deal to give the Russian navy access the island’s ports, which is controversial, to say the least, at a time when Russia is under EU sanctions over Ukraine. Not to mention that the tragic accident at Mari naval base in July 2011 involved the explosion of a confiscated cargo of Russian ammunition destined for Syria. Even after the demise of the pro-Russian communist government, the formally pro-European conservatives find themselves compelled to ‘get cozy’ with Russia. Pragmatically though, after the EU driven ‘bail-in’ decision, who can blame the Cypriots? Thus, the (geo) political implications of the crisis raise further doubt about the already questionable notion of European solidarity and unity. There are a number of lessons policymakers in Cyprus and beyond need to learn from this crisis. Firstly, prevention through sound macro-prudential oversight, though difficult, is much better than dealing with a financial tsunami of the type Cyprus encountered. Secondly, the downsizing of the banking sector is more of a blessing than a curse, given that it has become not just ‘too big to fail,’ but also too big for the government to bail out. Thirdly, this has been a textbook case of state expenditure running out of control. Thus, fiscal discipline and counter cyclical fiscal policy would need to become a key ingredient for long term growth and sustainable competitiveness. EU rule on fiscal prudence (debt ≤ 60% of GDP; deficit ≤ 3% of GDP) is certainly a good target, which Cyprus may not be able to achieve as planned by 2016, but its current progress is promising. Finally, structural reforms in thorny areas like healthcare, pension system, tax collection, labor market, as well as privatization of state owned enterprises can further boost the economic potential of Cyprus. Unfortunately, complicated internal and particularly external issues remain abundant. Uncertainty over economic developments in Greece, the prospects of which remain rather bleak, will leave Cypriot policymakers holding their breath. The Central Bank admittedly has a contingency plan in case of a potential Grexit, but no planning will completely shield the country form the fallout of Greece’s much speculated exit from the Eurozone. In fact, back in 2013 a leading Cypriot economist promoted the idea of circulating an Alternative Cyprus Pound alongside the euro in order to regain control over monetary and exchange rate policy, but the idea was heavily criticized, to the point that professor Theophanous himself admittedly renounced the idea. Looming recession in Russia, coupled with global and particularly European economic slowdown, will also negatively affect Cyprus. On the bright side, ECB’s monetary expansion will likely boost aggregate demand in the Eurozone and contribute to future growth. It is therefore paramount that Cyprus authorities keep up with the implementation of its Economic Adjustment Programme that expires in 2016, particularly when preliminary Central Bank data indicates successful attainment of intermediary benchmarks. Local political class would benefit more from openly acknowledging past mishandling of the economy, rather than shifting the blame elsewhere. Local policymakers need to concentrate on Cyprus’s comparative advantages in tourism, trade, shipping and banking, but in a much more fiscally responsible way. Note: Apart from individual research, the paper draws inspiration from valuable group discussions with Professor Andreas Theophanous and Dr. George Theocharides, as well as Cyprus Central Bank Executive Director George Syrichas. The paper is the result of the MUNDUS MAPP study visit to the Republic of Cyprus in April 2015. This entry was posted in European Union, Public Policy and tagged Bank of Cyprus, Cyprus Central Bank, European solidarity, Financial Crisis in Cyprus, Financial Crisis in Greece, Laiki Bank. Bookmark the permalink.